2.3 – Secrets Of Space! Voltar’s Vault has been opened and from it emerge the Secrets of Space! All these secrets will be unveiled in the coming period and they will be released to Awesomenauts when 2.3 goes live! Keep an eye on the Vault to stay up to date on all new features coming to Awesomenauts! 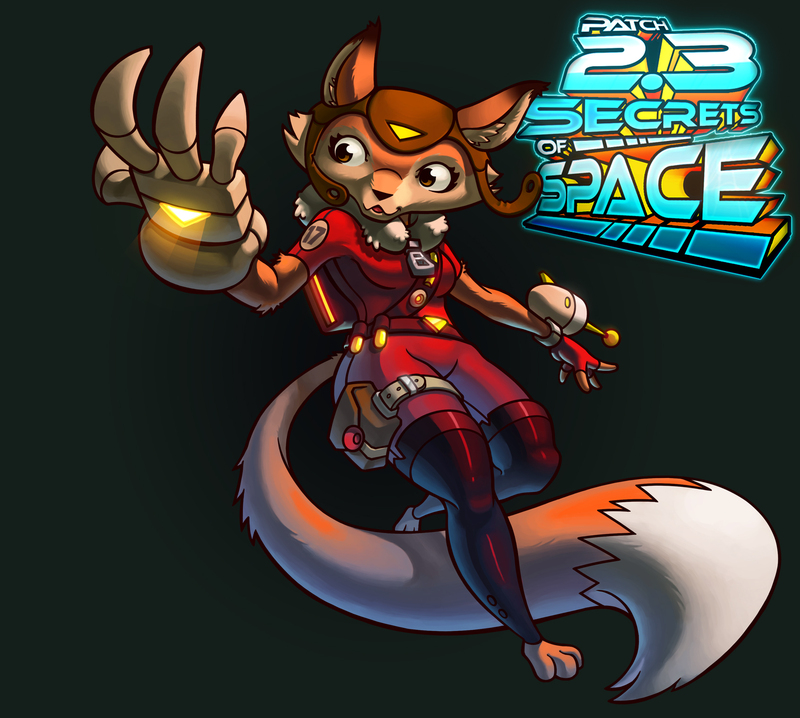 The biggest addition Secrets Of Space brings is already revealed and holds an all new character! A very Foxy one… Everyone that has access to the Awesomenauts Starstorm Beta (through pledging in iron tier or above in the Starstorm Crowdfunding campaign) will be able to try out this new ‘Naut as she is currently live in beta!